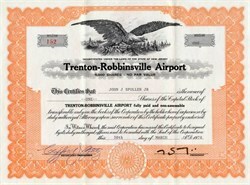 Beautiful certificate from the Trenton Robbinsville Airport issued in 1970. This historic document has an ornate border around it with a vignette of an eagle. This item has the original signatures of the Company’s President, and Secretary, and is over 42 years old. 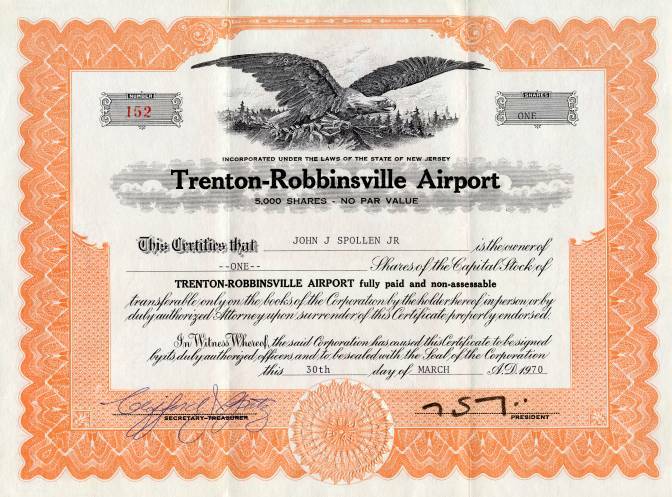 Trenton-Robbinsville Airport (FAA LID: N87) is a privately owned, public use airport in Robbinsville, New Jersey. The airport offers gas, lessons, rental planes, and hangars for privately owned planes.